In developing successful investment strategies, two things are necessary: first, you must devise a plan; and second, you must remain committed to that plan. 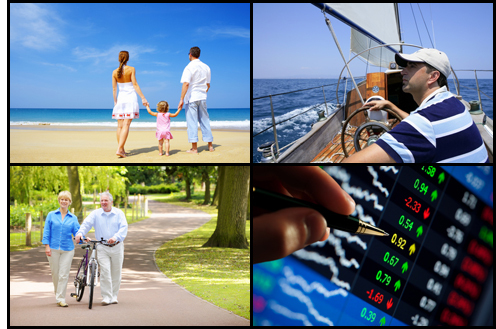 By using a diversified plan, we are able to balance the risk and maximize your return on investments. Phase I – Meeting with and listening to you. We recognize the fact that everyone has different needs and goals. This session gives us a chance to gain some insight and direction into your objectives. Each plan is tailor-made to fit your individual needs and objectives. Phase II – Gathering data. There are several components that are used to establish a customized investment plan: income needs, goals and objectives, capital growth requirements, risk tolerance and market diversification. Because no two doctors are alike, no two investment plans are alike. Phase III – Drawing a financial map or plan to reach your stated objectives. We take a long-range view of your financial objectives and back into short-term steps for you to take. Therefore, there will most likely be several destinations to reach along the way, such as providing childrens’ or grandchildrens’ educational funds, purchasing a vacation home, achieving financial independence, or planning for retirement from the medical profession, etc. The overall function of the “map” or direction stays the same; that is, allowing the physician to do more with what they have by having financial focus. Phase IV – Strategy Session. From getting to know you and your financial status, as well as knowing the direction you want to pursue, we are there to continually help and guide you. When changes (tax laws changes, medical practices changes, etc.) happen, we are there to help you analyze and determine your choices. By working exclusively with physicians, we offer you insights that come only by having exposure to similar situations. This allows us to help you make informed decisions. Our long-term client-relationship focus demands that we continually advise you in your best interest and financial direction. You will find, as our clients have found, the tremendous benefits resulting from being able to centralize all financial decisions.